A well attended Munster Cricket AGM took place on Saturday, 3rd December, in the River Lee Hotel with nine of the Union’s clubs represented. Reports on the 2016 season were delivered by the Chairperson , David Griffin, and on behalf of the outgoing Secretary – John Ketch. Copies of these have been placed on the Munster Cricket website for information. Treasurer, Brian O’Donnell, presented his report for the period ended 30th November 2016 which showed an increase in our capital account balance of €3,336 for the year, Grants totaling €10,152 had been paid out to clubs to assist with ground development and we currently hold grant monies of €11,200 under the Cricket Ireland Club Facility scheme and for assistance with the club accreditation programme which we expect to pay out to 2017 as clubs complete further improvement projects. He commented that a small start had been made in regard to raising sponsorship income and that this will be a key focus for 2017.The bulk of our expenditure continues to be incurred on gear, coaching and travel expenses for the Union’s youth sides and the senior Munster Reds squad. Reports were delivered to the meeting by the youth co-ordinator , Chris Thomas, and on behalf of the RDO , Jim Doran, setting out the performances of the Munster youth sides, youth activity at club level and the development work done in primary and secondary schools. This led to an extensive discussion on how best to promote and expand youth cricket in clubs, develop further youth competitions at club level and structure representative activity in 2017 and the matters discussed will be taken forward by the youth and executive committees in 2017. The President, Michael Hickey , also addressed the meeting setting out his activity during the past year on behalf of the Union. As no nomination had been received for the position of Secretary, this position will be filled by the Executive committee. 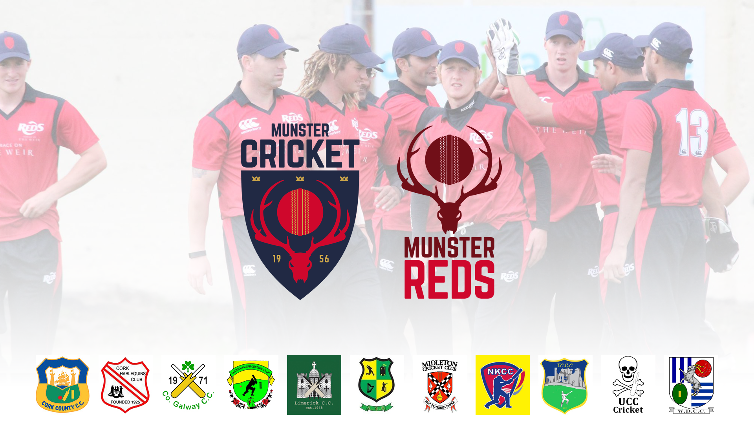 There was an extensive discussion regarding competition structures, the amount of cricket available to club players and the difficulties involved in making the fixtures for the season initially and then dealing with changes in the context of a motion submitted by Cork Harlequins to increase the number of games in the Premier League to 15. It was agreed that the incoming Cricket Committee would review this in detail with the aim of making as much cricket as is practicable available to all grades of players. The Cricket Committee also agreed to work at improving communication of information to clubs based on a further motion from Cork Harlequins seeking more regular meetings of the committee and better communication of decisions. The Chairperson, David Griffin, took the meeting through the presentation originally made to the Cricket Ireland Board in October regarding the status of the current strategic plan and plans to put the next plan covering the period 2017 to 2020 in place. Finally, under any other business, in response to a suggestion of Philip Russell , it was agreed that a Club information day should be held once or twice each year to ensure that clubs and their members are better informed regarding developments in Munster Cricket and to enable them put forward their views on issues impacting on them.